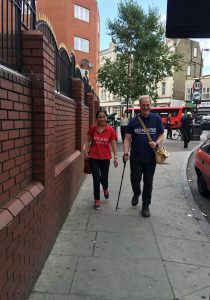 Today, Finsbury Park Mosque received a special visit from Lord Michael Bates, the Minister of State for International Development and his wife, Lady Xuelin Li Bates as they set off on the first leg of their charity walk to sponsor the ‘UK Solidarity Fund’ which supports victims of the recent terror attacks that took place in London and Manchester. 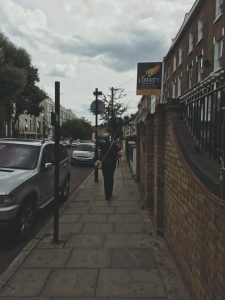 He will set off from London on a 625 mile (1000km) 45 day walk around the UK via Cardiff, Manchester, Belfast ending in Edinburgh to try and raise money for the Fund. 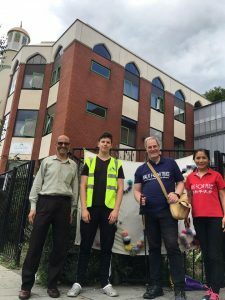 Lord Bates symbolically chose Finsbury Park Mosque as the location to start his walk as a show of solidarity following the terrorist attack that took place near the Mosque last month. 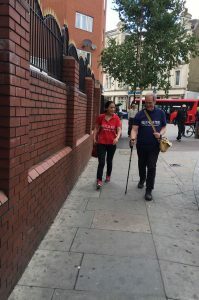 We wish Lord Bates all the best as he sets out on this journey to raise funds for such an important cause.